In Boston, a car is optional. Whether walking, taking the subway or the bus, there are many ways to enjoy the city’s relaxed atmosphere. 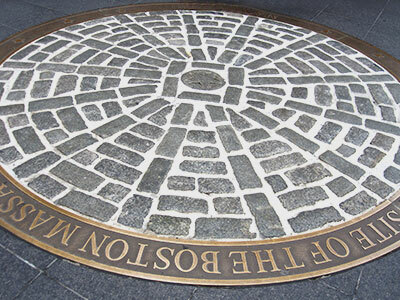 Take a carefree walk on the Freedom Trail. The Freedom Trail, a four kilometer path that winds through this historical city, is like an open air museum. The instructions are simple: make sure you’re wearing some comfortable walking boots and simply follow the red line painted on the path. The journey will introduce you to the highlights of Boston in a new way in a magical setting, and at your own pace. The 16 points of interest include the Boston Massacre Site, the statue of Benjamin Franklin and the Paul Revere House, a patriot of the American Revolution. If you’re visiting in Winter snow may cover your path. Make your winter walk easier by purchasing the official brochure at the tourist information kiosk (or the app for your cell phone). If walking in the cold isn’t for you, that's not a problem: an array of museums are waiting for an opportunity to enrich your knowledge. The New England Aquarium, with its 1.3 million visitors a year, is popular for its exhibitions that demystify the underwater world. Art lovers will be amazed by the impressive collections of the Museum of Fine Arts and the Museum of Contemporary Art. A jump into the Boston Museum of Science is also required to learn about physics, chemistry and biology. Youngsters are not left out: a visit to the Boston Children’s Museum will delight the whole family. If your thirst for knowledge isn’t quenched, one last visit is needed: the Isabella Stewart Gardner Museum, located in a small Venetian style palace. There are a wide variety of items including furniture, textiles and works of art. Consider buying a CityPASS. Valid for 9 days, it gives you access to five major attractions in the city at an affordable price. On the third Monday in April, thousands of amateur racers run together towards Boston. The oldest annual marathon in the world was the scene of tragic events in 2013. But Bostonians are resilient and the celebrations continue. Will you be part of the approximately 500,000 spectators expected this year, or perhaps one of the 20,000 participants? Position yourself near the finish line at Copley Square. This is the smartest place to watch the final moments of the race and cheer on the winner. Stay in shape ... by proxy! With the arrival of Spring, the national sport of the United States returns. To attend a Red Sox baseball game, go to Fenway Park and find yourself a place among the 39,605 seats available. And do not forget: if you're a fan of the New York Yankees, don’t let it show ... the rivalry between the two teams is legendary— Bostonians will not hesitate to get tough! Be sure to memorize the lyrics of Neil Diamond’s Sweet Caroline. During the eighth inning break, the fans all belt it out. And if it turns out that the Sox win, you'll be treated to Dirty Water by The Standells. Summer is the perfect time to enjoy the patios, have a drink with friends and dance in the nightclubs of Lansdowne Street until two in the morning. Note that you must be over 21 years old to get in the clubs: don’t forget to bring your passport! The fanatics of the American television series Cheers should go eat at the restaurant of the same name. 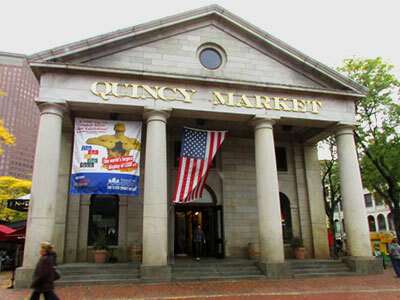 Take the opportunity to take a stroll at Faneuil Hall market. 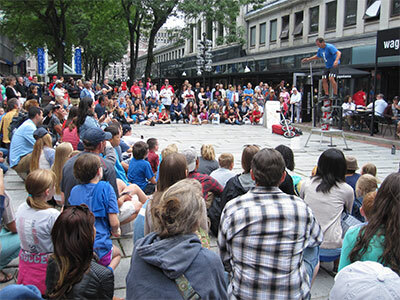 Besides an abundance of stores, street performers add to the relaxed atmosphere, and it’s located right next to Quincy Market, where an array of international dishes and seafood are featured. All these outdoor activities are sure to lighten your wallet! Enhance your stay in Boston by savouring one appetizing seafood dish after another. Fishing is at the centre of Boston culture. If you enjoy fresh seafood Boston is the place to get it! It starts with a comforting clam chowder accompanied by a refreshing Samuel Adams beer. Finish the perfect meal with a slice of Boston cream pie, the official dessert of the city. Escape the heat by taking off on the water. Many types of cruises are available, some of which offer the opportunity to observe the whales. You can even build on your fishing skills by participating in a day of fishing, or play the explorer by going on ferry to the islands not far from Boston. Get a little seasick? A nice stroll along the docks will do! Although a bit expensive, the Boston Duck Tour is an unusual activity that would complement any itinerary. Your children will be delighted with this 80 minute guided tour. 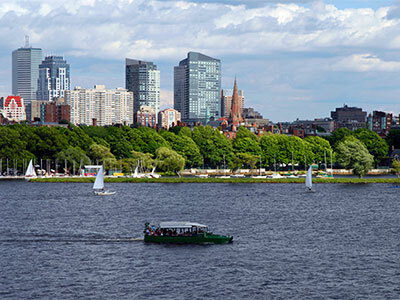 The vehicle that you take is an amphibious vehicle from which you will see the main sights of Boston, before experiencing the excitement of plunging into the Charles River for a 20-minute cruise. Autumn is probably the most enjoyable season to discover the city. The trees are adorned with warm colors and it’s still warm enough for even the most sensitive-to-the-cold walkers. Any casual visitor to Boston in this period should make a slight detour towards Salem, the best place to celebrate Halloween in style. Throughout the month of October, a myriad of activities are held and costumed tourists invade the streets. Before you head to the heart of the city, take a few minutes to pay a free visit to the Friendship, a replica of a ship captured by the British as a prize of war in 1812. 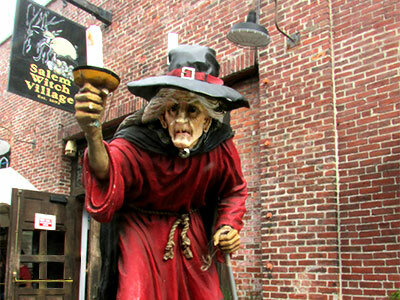 Continue your tour with the Salem Witch Museum, which traces the history of the witch hunt. There is no shortage of ideas for fun afterwards: tour the shops — including the now famous Remember Salem souvenir shop, which sells many items bearing the image of the Harry Potter franchise along with the (too) sweet Butter Beer — have a séance with a psychic; walk through a haunted house; or view museum wax figures (the Nightmare Gallery is a must). End on a historical note with the cemetery and the Witch Trial Memorial, built in memory of the victims. The names of the accused, the date of execution and a description of their sentence are all inscribed on it. Leave your car in a municipal parking lot at the outskirts of the city. You'll have plenty of time to walk through Salem and the experience is much better on foot. Autumn is also the preferred season to experience the excitement of the academic year. Some of the most prestigious American universities welcome their students in Cambridge, outside Boston. Start with the Harvard campus – several buildings are classified as historic, and are worth a visit. The oldest higher education institution in the United States can claim to have counted in its ranks famous students, including eight US presidents as well as the Facebook founder, Mark Zuckerberg. Don’t miss a visit to the Natural History Museum, where among others are exposed dinosaur fossils, meteorites and the eighth largest herbarium of the world, housing more than 5 million specimens. 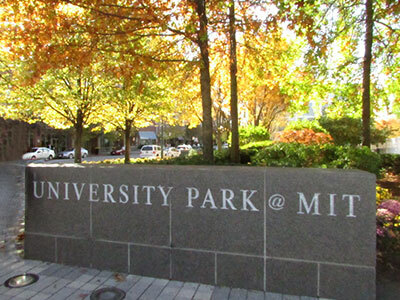 The Massachusetts Institute of Technology (MIT) is a leader in science and technology. With a much more contemporary style, it is good to linger for a bite to eat while watching the busy student life teeming around. You can even get a guided tour conducted by a student. When you walk the paths of the Harvard campus, don’t forget to continue the Harvard tourist tradition of rubbing the left foot of the statue of John Harvard, also known as the statue of three lies. Do not miss out the many attractions of Boston, book your accommodation early: this busy city is a victim of its own great power of attraction!